No matter what your level of bicycling skills or experience, Maui Bicycling League is here to help you become a better cyclist. We offer workshops, talks, presentations, bike safety programs and opportunities to build your skills and improve your safety. Stay current with our latest events by following Maui Bicycling League on Facebook. We also post events on our online calendar — check it out! Our popular group rides are led by trained leaders, thanks to our free group ride leader training programs. We’ve also offered a bicycle maintenance workshop for our group ride leaders, to prepare them for emergency repairs and basic bike maintenance questions. What’s the best way to encourage local government to support bicycle-related improvements? How can a planned greenway in West Maui help prevent nearshore ocean pollution? These subjects were addressed in presentations for our members at Maui Bicycling League meetings. If you would like to suggest or present a topic at a future meeting, please contact us at maui@hbl.org. 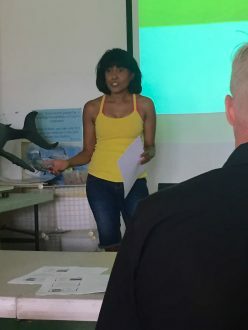 Our West Maui Greenway planning workshop in 20165 brought together our members, the community, government leaders and local stakeholders for two days of visioning, discussion and planning for a new bike path between Olowalu and Lahaina. Learn more here.